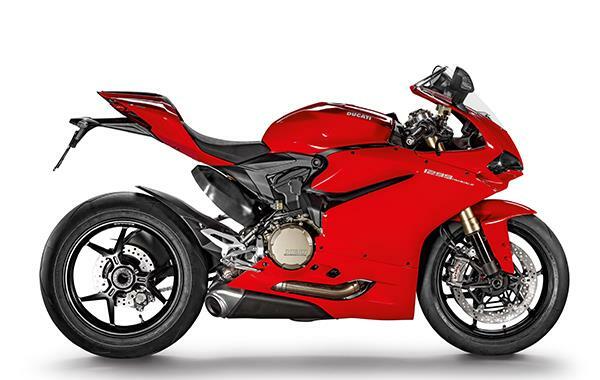 In the 1299 Panigale, Ducati has produced a sublime road-going, twin cylinder superbike. It has monster power and torque but it’s also more user-friendly thanks to extremely clever electronic suspension and rider aids. The electronic Öhlins suspension is really clever. In Race mode, compression and rebound damping is increased both front and rear, so too is the damping inside the electronic steering damper. In Race mode the 1299 feels like it's on rails; mid-corner, the chassis support and grip is immense. The 1299 gives so much confidence that despite the huge increase in power, it's much easier to ride than the old model. The subtle ABS, combined with the clutchless, quickshifter gearchange, means all your concentration goes into your braking points and line selection. The brakes are super-strong, and in Sport mode you have the additional cornering ABS which reduces the risk of a low-side and makes braking virtually foolproof. The power delivery is more linear and there's a 10% hike in both power and torque. The increase in torque comes lower in the revs and is more useable, so whereas before you almost had to wait for the power to kick in like a two-stroke, now it’s much more progressive. In Race mode the power is more aggressive, but it’s still a long way short of the violent smack-in-the-face the old bike was. The old myth that Ducati's are unreliable just isn't true anymore - they're equally as dependable as their Japanese counterparts nowadays and running costs aren't sky high either. 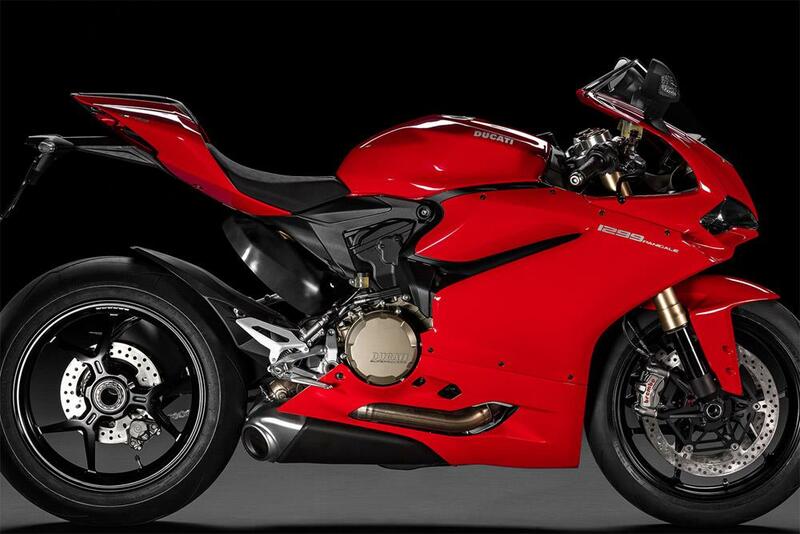 It may be expensive but as one of the most desirable bikes produced, the 1299 will hold its value. 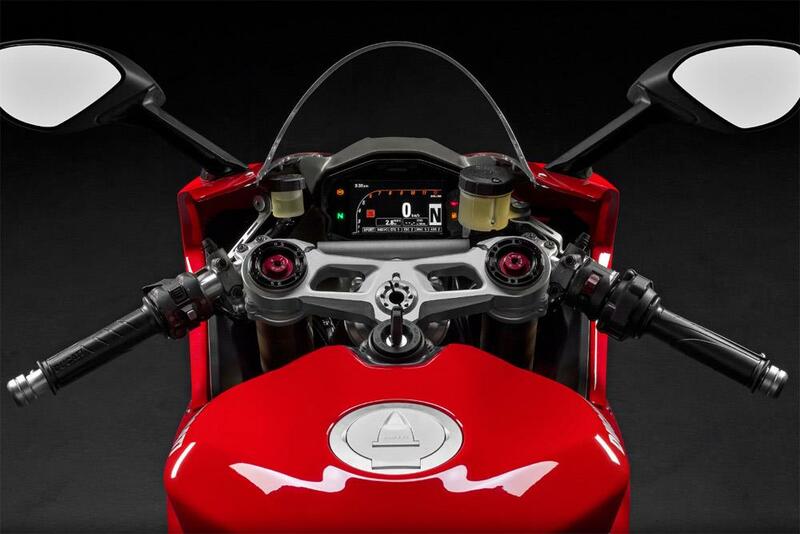 The 1299 has a taller screen, comfy seat and grippier pegs – proof that Ducati hasn’t ignored the road rider. The electronics package is hugely sophisticated. 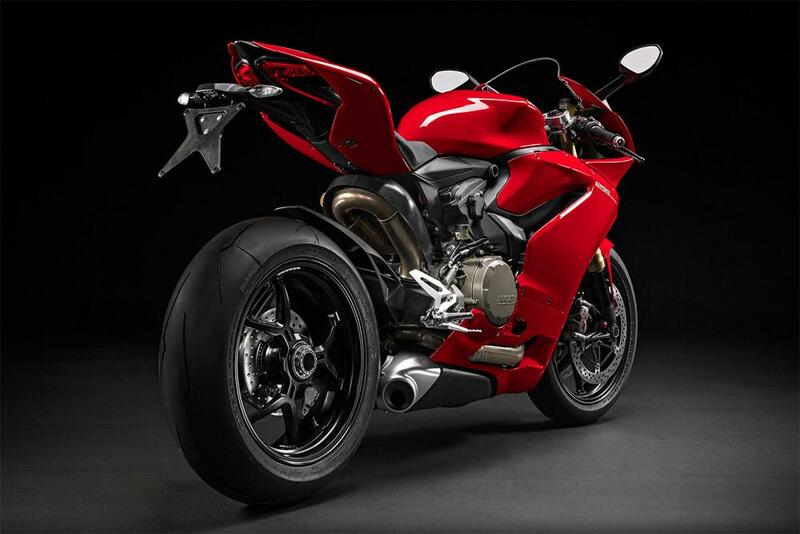 It features EBD, (Engine Brake Control), DQS (Ducati Quick-Shift), DWC (Ducati Wheelie Control), DTC (Ducati Traction Control) with IMU (Internal Measurement Unit) and cornering ABS. 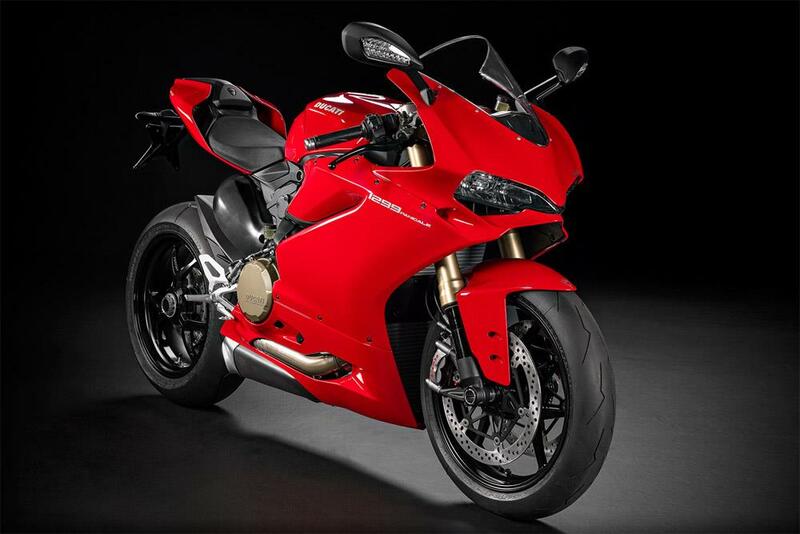 Higher-spec Ducati 1299 Panigale S version is available at £20,795. It features lighter forged wheels plus upgraded electronics and suspension. 5 owners have reviewed their DUCATI 1299 PANIGALE (2015-on) and rated it in a number of areas. Read what they have to say and what they like and dislike about the bike below. Unbelievable...the power and speed are simply breathtaking. The electronic suspension and rider aids are excellent. Plus it has to be the most beautiful bike ever made. It is surprisingly comfortable and can do long trips. However, I have taken the rear foot rests off permanently as it is horrendous for a pillion, but I've got my Sprint GT for taking 'er indoors. You have to experience the acceleration to believe it.. And what a noise, especially with the Akropovic cans. Love it. It is not particularly comfortable trying to do 20 mph through town, but is much better than my old 1199. The Anniversario upgrade gives perfect fuelling. The gearbox is light and positive and the quick shifter works well going up or down the 'box. Warming up the engine completely before riding off avoids burning any oil at all. Not had a single problem at all, despite a few very wet rides and lots of complex electronics. The attention to detail is impressive, and it all fits together like a swiss watch. I have only seen a few real Anniversarios for sale (watch out for painted up 1299S bikes). All of them sold for a lot more than I paid (new) for mine. Can't argue with that! It has to have super unleaded and gets through it at a prodigious rate when you are getting a wiggle on. I can't think of anything it hasn't got! Tyre choice is non-existent, but the Pirellis work very well and suit the bike. I had to ride 200 miles in the freezing cold in December to get it home, but there again, at least I found one. Not for streets, only for tracks. Not for motorcyclists, only for riders. High price, high quality, high performance. The best in the track. 205hp and 145nm are not enough? R1m, rav4 rf, s1000rr, zx10r, gsxr1000r, cbr1000rr sp are amazing bikes but the 1299s has a better quality build. High price for high quality. Every Day is a special day when you get her out of the garage, neighbours love it, as it sets off car alarms going out of street. Have had engineers look at her admiringly, spotting pieces of manufacturing that are "art" to them, it has that effect. Have a Ducati battery monitor on her, plug in once a week for a day, and no problems. Had the Ducati flat battery to thank for this. Not reached first service yet, know my dealer will look after me though, great being part of a family. Through Ducati main dealer - could not be more complimentary to the experience, top staff. Solid as a rock on the straight and the corner, no fear of stopping on a dime in seconds. One of the most powerful production bikes around. Extremely reliable with Excellent build quality, where Art meets Function at its very best. Technology at its leading edge. No problems so far and if 899 was anything to go by over 7000 miles I don't expect any. Quality of finish looks very good. Design and styling, nothing else comes close. Bought from Snells of Alton, excellent service everytime.